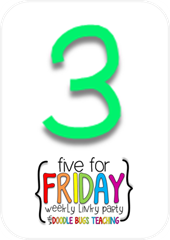 Happy Friday Blogging Friends! We have been learning all about how animals meet their needs in winter in kindergarten this week! After reading Squirrel's New Year's Resolution on Monday, we dove right in and started reading Animals in Winter the rest of the week. I decided to do a close reading of this book with my students and read it in parts so we could really dig deeper into the text. It worked great with this book!! 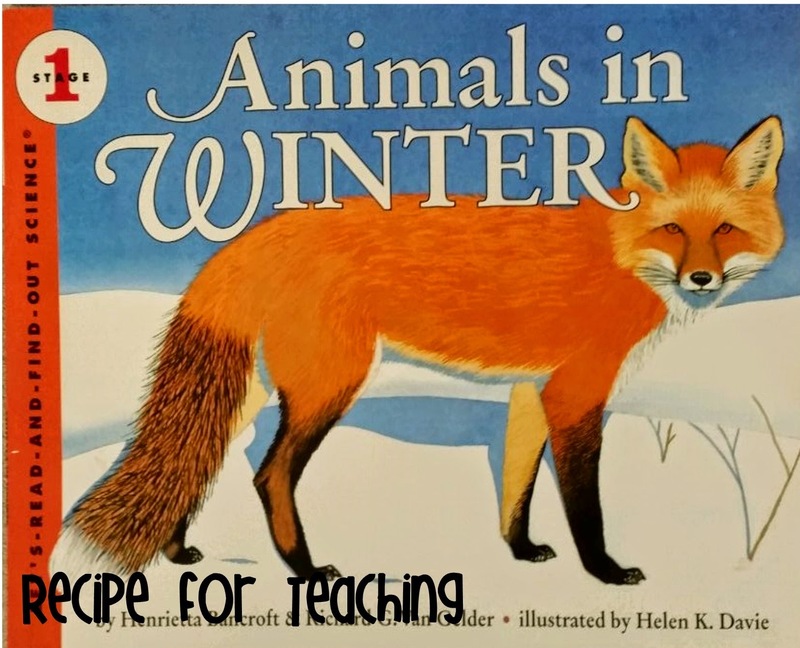 This book naturally lends itself to doing a close reading because it talks about animals migrating, hibernating, and adapting in winter. We could really focus on the book in parts to better understand it. 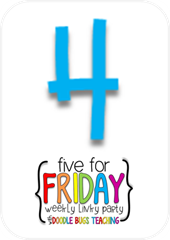 I'm using my Five for Friday to share! 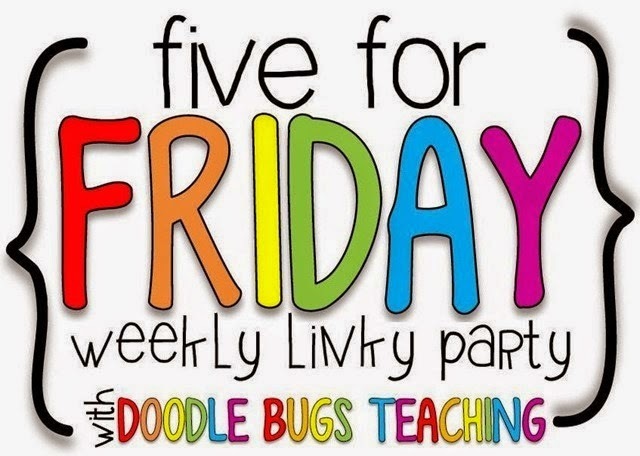 Be sure to join the fun with Doodle Bugs Teaching and share about your week! This is the book we read if you haven't heard of it! 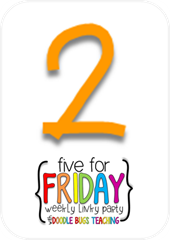 You can order it from Amazon by clicking here or from Scholastic by clicking here. My students really enjoyed this book! Here is a glimpse of what the text looks like! It's very kid friendly and the illustrations are great! This is the chart we created this week. 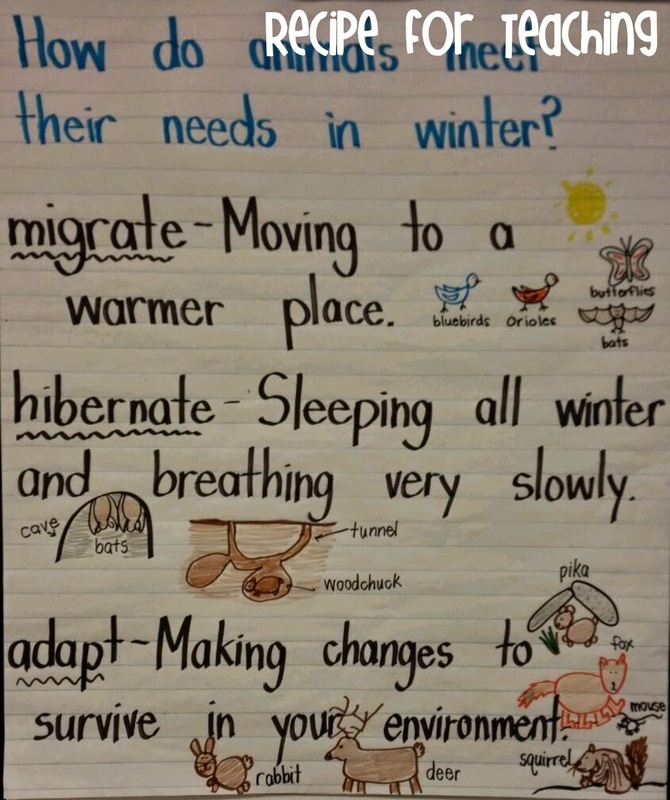 After reading each part of the book, I had the kids help me determine what migrate, hibernate, and adapt mean. My kids seriously think I am the best artist! While I'm drawing I will hear little voices saying, "Your pictures are really good!" or "She is so good at drawing!" Love all the compliments from my 5 and 6 year old friends! *The book talks about birds, butterflies, and bats migrating to warmer places which is why we referred to migrate as moving to a warmer place, however I realize we could have also just recorded it as moving to a new place! 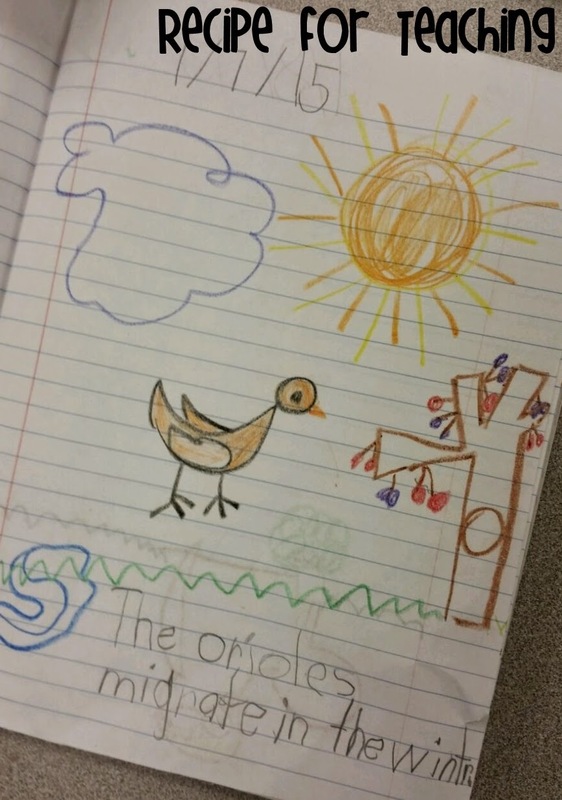 This is the work that one of my students did for migrating. How cute is this?!?! We record things in our "Notebook of Learning" and use a composition notebook to do so. 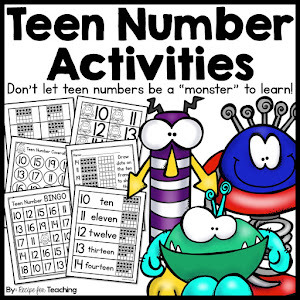 One year I tried having a science and math notebook in one and then I came across the idea of a "Notebook of Learning" (I can't remember exactly where though!). It is WONDERFUL!! 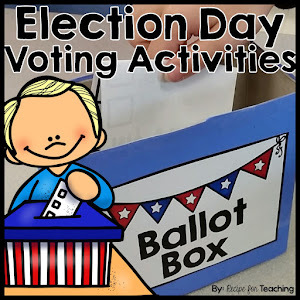 The reason I love it so much is because we use it to record any kind of learning and across ALL subject areas. Today I had them recording math in it as well. It takes a lot of modeling to start, but is well worth it in the end! 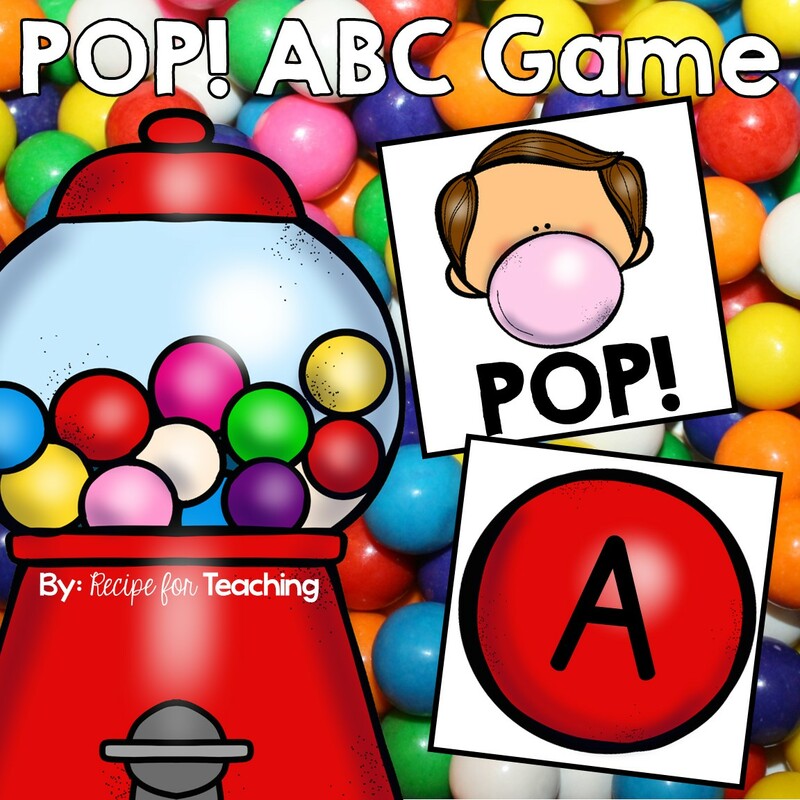 If you haven't tried something like this in your classroom, I highly recommend it! 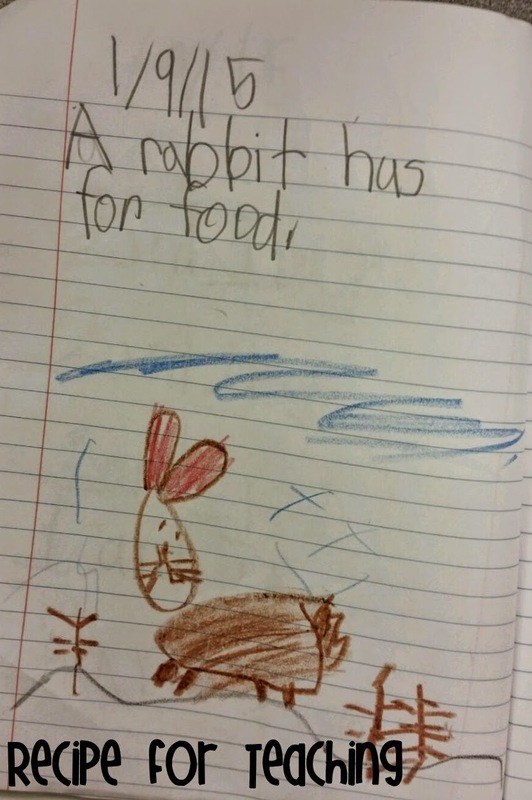 This friend wrote, "A rabbit hunts for food." This was for the adapt section of the book. Look at that adorable rabbit! Again, the "Notebook of Learning" is an amazing tool! 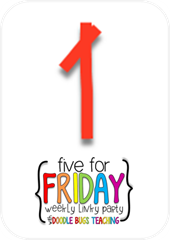 Hope everyone has a wonderful weekend!! Go Ravens! !